You are currently browsing the The Pet Product Guru blog archives for November, 2016. Sometimes instead of fostering a child,foster parents choose to foster an animal. These foster parents take in shelter dog and cats that are ill, not socialized or not yet weaned and turn them into healthy, loving, adoptable pets. By providing temporary homes, foster parents enable shelters to take in more animals than they would otherwise have room for. So if you have the time, space and love to share with a foster pet, contact your local shelter or rescue group. If your application is approved, you’ll attend training sessions to learn how to socialize, house train and maybe even bottle feed your foster pet. The hardest part of fostering is giving up your foster pet. After you buy the cat bed or dog crate, they are hard to let go of but you are doing a wonderful service by providing shelter and care for a sheltered pet! As soon as you get to work, turn on our holiday station. A Delmarva Christmas – A large variety of Christmas music for all tastes! The greatest songs of the 60’s and 70’s are on Rehoboth Radio – Beachradio 5060. Oldies from 4 decades – the 50’s through the early 80’s plus great pop standards! Edgewater Gold Radio Listen directly from our website to all of our stations. Download the FREE Edgewater Gold Radio app and take all of your oldies with you wherever you go! The Edgewater Internet Radio Network. As many of you know, I run several online radio stations. I usually broadcast in an automated mode where everything is pre-recorded. I recently added a “live” capability to my station. This means that I can broadcast live anytime from my home studio. I will be scheduling more live broadcasts but I do have one small problem…..my cat Molly. You see, she always wants my full and undivided attention. 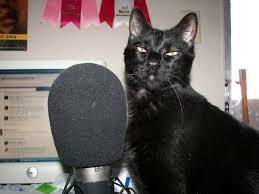 The other day, while broadcasting live, my cat Molly, would “Meow” every time I opened the mic. She either wanted me join me on my show or wanted me off the computer where I could pay more attention to her. My guess is the latter. So don’t be surprised if while listening to Edgewater Gold Radio, you hear a “meow” every now and then! The greatest variety of Christmas songs. Mostly classics and traditional but lots of pop and some contemporary. Listen to A Delmarva Christmas all holiday season long! The greatest songs from the 50’s and 60’s —re-live your grammar, high school or college days with Rehoboth Radio – Beach Radio 5060. My older cat, Mollie never liked to play with cat toys such as those that dangle on a string or little ones that make noise. My younger cat Millie, is a very active and at 9:00pm every night she sits by her toys and meows. She loves to chase her toys on a string. Some cats prefer toys that mimic the sounds, textures of movements of prey. I think my cat, Millie thinks that the moving toy is a bird. 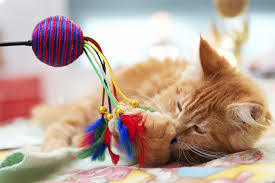 Cat toys that are on the market are designed to squeak, move, twitter or swing. There are many to choose from. Some cats prefer leather or fur. My cat loves feathers. She goes through them so fast that I am constantly buying her new ones. Some cats like to chase toys that roll. If your cat lives indoors, he needs exercise so make sure that you make some time each day to play with him. My older cat Mollie never liked to play. When I try to play with her, she grunts and runs away. She’s a funny one. She will rather snuggle next to me while I’m watching TV. In fact, she’s lying next to me as I’m typing this. I better hurry up or she will get mad and shut my computer down! The greatest variety of oldies you’ll ever hear are on one station – Edgewater Gold Radio! This Thanksgiving, I spent my holiday at my brothers in New Jersey. It’s about a 4 1/2 hour drive from where I live in Rehoboth Beach. Normally, we would have stayed overnight and headed back down today but because of my 17 year old cats medical needs, we decided to come back the same day. It was a wonderful dinner great seeing my family. Even though I was tired, we arrived back home at about 10:45pm. Molly needs medicine for Hyperthyroidism and is on a special prescription diet so I feel more comfortable tending to her medical needs myself. 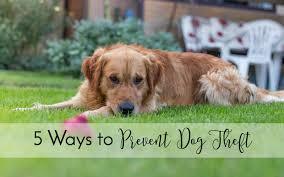 It can be very restrictive but we do what we have to for our pets or we should anyway. I hope you had a wonderful holiday! Turn on the Christmas music this black Friday – yes the holidays are here! A Delmarva Christmas- A large variety of Christmas music 24/7. The best variety of the 50’s and 60’s – Rehoboth Radio – Beach Radio 5060. 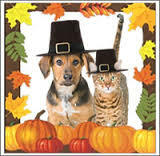 It’s Thanksgiving day tomorrow and there will be guests and lots of food. It’s important that you remember to remind your guests not to give the begging pooch any table scraps. Dogs could choke on bones and cats can get very sick if they are given any chocolate. If your dog is a “jumper,” it will be a good idea to keep him in a separate room while the guests are arriving. Make sure to keep your dog away from the door. He may dart out in all of the excitement. Keep these simple things in mind and you’re sure to have a great day. Happy Thanksgiving! Remember, your pets count! Let the music play —The holidays are officially here —turn on our all holiday music station! A Delmarva Christmas – The best variety of Christmas music ever! If you love oldies, you’ll love our oldies station that’s been on the air for 14 years! Edgewater Gold Radio – one of the best and oldest internet radio stations on the air today! The 50’s and 60’s come alive on Rehoboth Radio -Beach radio 5060. Listen to all of our great stations from our website: The Edgewater Internet Radio Network! My 17 year old cat and best friend Molly has Chronic Kidney disease and hyperthyroidism. This is a difficult combination of two serious diseases to maintain. Molly has been on medicine for her Hyperthyroidism for almost a year and she is doing well. Chronic Kidney Failure is more difficult to maintain. This is normally a fatal disease that affects many senior cats. Treatment is tricky. 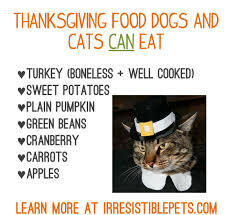 First and foremost, the cat must eat and drink. 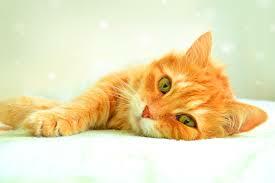 Dehydration is very common in cats of CRF (Chronic Kidney Failure) . Always make sure that the cat has fresh water to drink and is drinking it! If not, you’ll have to hydrate your cat through fluids injected under her skin. Your vet will tell you if this is necessary and how to do this. Another important component is that your cats diet should consists of low protein, low phosphorus high quality food. Vets normally recommend a prescription diet. Molly doesn’t care for this food but I mix it with another high quality, low protein food by Weruva. I have to make sure that Molly eats her food. Sometimes I find her munching on my other cat, Millie’s dry food which is not good for her. It is preferred to feed a cat with CRF wet food as this insures that the cat is getting some of the moisture that it needs. I also add a high quality of omega oil to her food. I use Astro’s CRF Oil. You can click and read all about it. So far, it’s been almost one year since she was first diagnosed. She has put on weight and is eating and drinking. The previous symptoms of her hyperthyroidism are gone. (weight loss, excessive drinking, which is also common in cats with CRF and seizures) I am taking it one day at a time. You really have to do to the best you can and work hard to maintain a cat with CRF’s quality of life. Here come the holidays! Turn on that great holiday music, A Delmarva Christmas! Holiday ,music 24/7. The greatest oldies of all time play on Edgewater Gold Radio. Great oldies of the 50’s and 60’s on Rehoboth Radio – beach radio 5060. Keep the holiday music playing during Thanksgiving and al holiday season long. Just click here on A Delmarva Christmas. A great choice of music is always available on THE EDGEWATER INTERNET RADIO NETWORK. 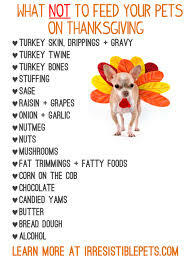 add comment Comments Off on Get Thanksgiving Pet Treats! 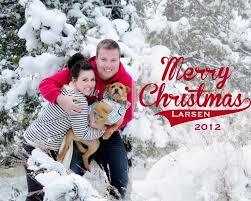 It can be very frustrating to get your dog in the perfect position for that Christmas picture. What’s even more frustrating is getting him to sit still. Before we go any further, your dog must be trained to sit and stay. Let your dog get used to the camera. Let him take a good long sniff then start taking some shots to get him used to the clicking sound. The idea is to keep things natural and relaxed. Don’t grab a bunch of treats and shove them in your dogs face. Once he’s still and in the right position, take lots of pictures. Turn the flash off if outdoors or in an area that’s well lit. Your picture will look better in natural sunlight. Too much light will cause that “washed out” look. Get down to your dog’s level. Don’t stand over him. Pay attention to the background. A simple background like a beach or some trees are fine and will make your dog stand out better. A friend with a dog toy will come in handy if you want a head-on shot or a regal profile. However, keep your dog’s personality in mind, some dogs will get very excited when they see toys. Be creative, the best shots are often the spontaneous ones. 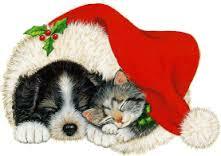 Good luck, we’ll look for you and your best friend on that Christmas card! The holidays are almost here and we have your soundtrack —listen to A Delmarva Christmas, a great variety of holiday music to make your Christmas bright! If you have an older cat that suffers from arthritis, you might be tempted to give your pet pain medication from your medicine cabinet. Stop right there! Medicine such as aspirin, acetaminophen and ibuprofen are toxic to cats. In very rare instances, some veterinarians will prescribe aspirin for cats but only in tiny amounts and on a very specific schedule. 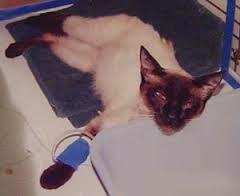 Most veterinarians prefer other methods to treat arthritis in cats. They would recommend inflammation reducing agents such as Glucosamine instead. They may even recommend rehabilitation treatments such as acupuncture. In most cases these therapies tend to work best. 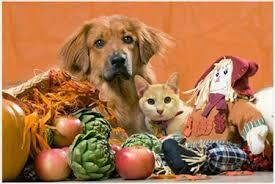 Always consult with your veterinarian and never administer any pet medication without his expert opinion. Remember, your pets count. The holiday season is upon us and people want to feel good. We’ve just launched –A Delmarva Christmas. Holiday music from many genres to make you holiday special. All the songs you love and grew up with are on our oldies station- Edgewater Gold Radio! The 50’s and 60’s live on Rehoboth Radio – Beachradio 5060.
add comment Comments Off on No Aspirin For Cats! A great way to relieve stress and enjoy your holiday season is to check out our newest addition. A Delmarva Christmas – Christmas and holiday music 24 hours a day! The greatest oldies of all time are on Edgewater GOLD Radio! If you love 50’s and 60’s, you’ll love Rehoboth Radio Beach Radio 5060.